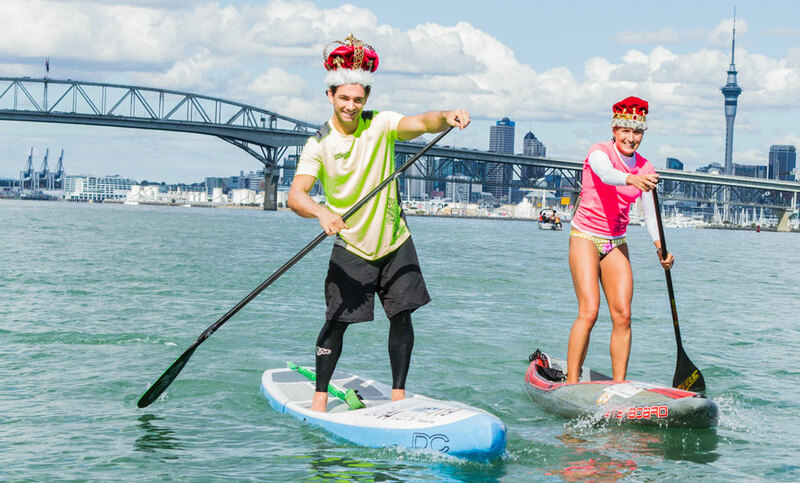 Travis Grant has continued his 2013 winning streak, taking out New Zealand’s 25km King Of The Harbour SUP race on the weekend ahead of Beau O’Brian. 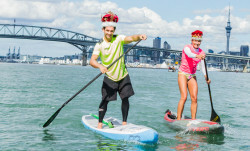 Meanwhile reigning BoP Champion Annabel Anderson was just 12 minutes behind after two and a half hours, despite paddling a 12’6 vs the 14 footers of the men. Check out the results below then scroll down for some great pics of the action.